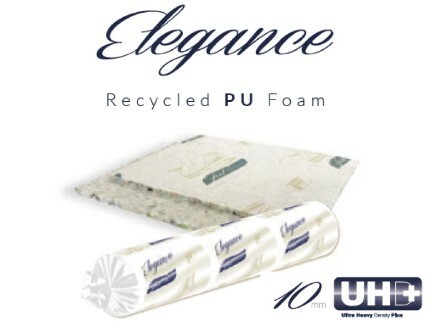 Welcome sumptuous underfoot comfort to your home with Elegance, an underlay made to bring a difference you can feel. Crafted from our custom ultra high density 10mm thick recycled foam, Elegance can bring comfort right throughout the home. Keeping your room warmer and quieter, Elegance delivers impressive all-round comfort and its ability to keep on recovering will help keep your carpet looking great for years.